Labor Relations, the most accurate, readable, timely, and valuable book of its kind on the market, provides readers with a basic understanding of unionism in its natural habitat and a fundamental appreciation of the union-management process. It focuses on the negotiation and administration of labor agreements, and emphasizes the more significant bargaining issues. The 12th edition includes much new material and an extensively revised and updated bibliography. 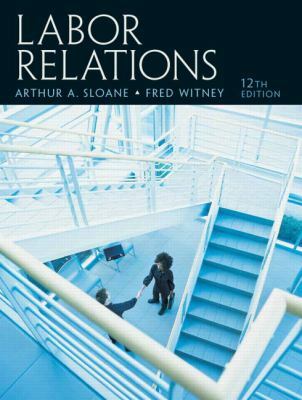 For vice-presidents and directors of labor relations, union presidents, and others who are full-time labor-management professionals for either managements or unions.Sloane, Arthur A. is the author of 'Labor Relations ', published 2006 under ISBN 9780131962231 and ISBN 013196223X.